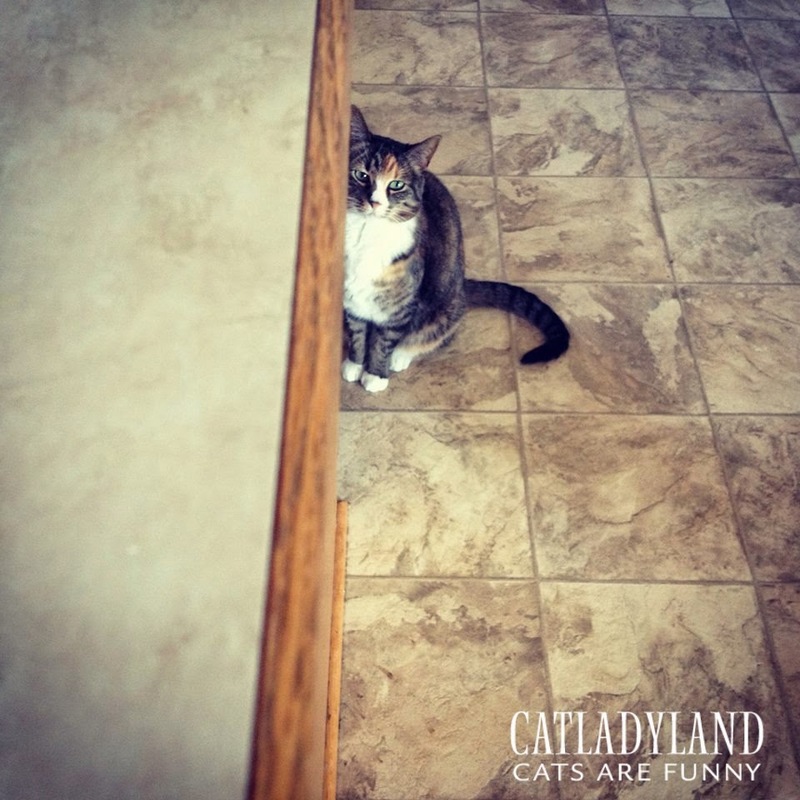 Catladyland: Cats are Funny: Cat Staring Techniques Learned from "King of Eyes"
Cat Staring Techniques Learned from "King of Eyes"
You know that feeling you get when someone -- or more specifically "some cat" -- is watching you? This photo is what that feeling looks like. Demonstration provided by Phoebe, who learned all her best staring techniques from Cosmo, the King of Eyes. Ew, that sounds gross. He doesn't collect body parts or anything -- he just stares a lot. A lot. Watch out everyone! We got a future Staremaster on our hands!